DOWNTOWN TAMPA (Commercial): Whether you’re a large corporation or a newly launched business, the commercial properties available in Downtown Tampa are perfect for setting up shop. Located in the best area to gain exposure for your business, these highly sought-after properties offer private offices and conference rooms, high-rise office spaces along with storage space and off-street parking. Recently renovated within the last five years, these spaces provide a wide variety of options for different types of business, whether you’re a small startup or a major retail chain. Thanks to its prime location, your office can also enjoy views of downtown with easy access to the best dining and shopping in the area. Who wouldn’t want to come to work every day? You’ll also be conveniently located to some great dining options for those out of the office lunches. Mise en Place Restaurant is a unique place to dine and their Amish Cheddar Chili Grits are a real treat. So, what are you waiting for? 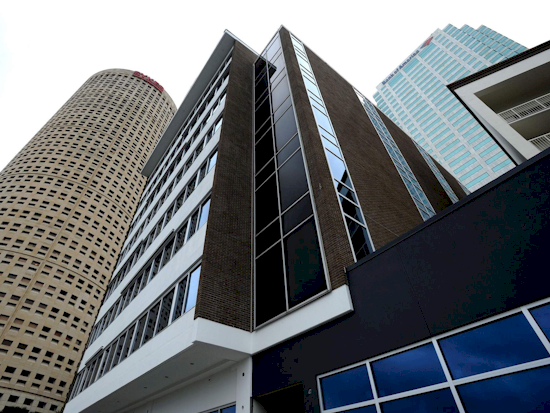 The commercial spaces in Downtown Tampa are simply a click away! Search Downtown Tampa retail space, Downtown Tampa office space or any commercial real estate in Downtown Tampa or call 813.599.3622.